Visual assessment by SCUBA divers is a commonly used method to gauge reef fish communities. However, the report in the journal Methods in Ecology and Evolution casts doubt upon its accuracy in some areas, saying that as fishing pressure increases so does the bias of the count. The divers wearing rebreathers were able to get closer to the larger, most heavily-fished species which were very shy of divers in the non-protected areas. The researchers—Steven J. Lindfield, Euan S. Harvey, Jennifer L. McIlwain and Andrew R. Halford—recommend the use of this bubble-free diving system for surveys assessing reef fish populations, especially in areas where fish are heavily targeted by spearfishing. 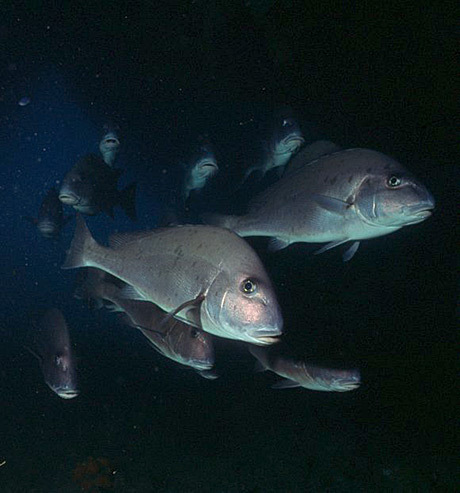 If fish behaviour isn’t taken into account, surveys using SCUBA could result in in the wrong conclusions when comparing fished and protected areas. The surveys were carried out in Guam.